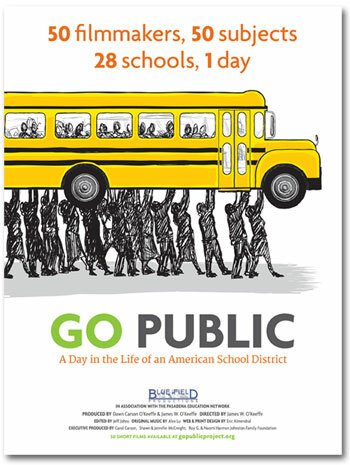 GO PUBLIC will be screening at three different Southern California events the weekend of Sept. 21 – 22. On Saturday, the film will be shown as part of the Catalina Film Festival. Tickets are available here. At 12:15pm Sunday, there will be a screening and discussion at Lake Avenue Church in Pasadena. Tickets and info here. Then, at 6:00pm. the USC School of Cinematic Arts is showing the film at the Norris Cinema Theatre on the USC campus. Tickets and info here. Keep up to date on future opportunities to see GO PUBLIC on our Screenings page or by following GO PUBLIC on Facebook.